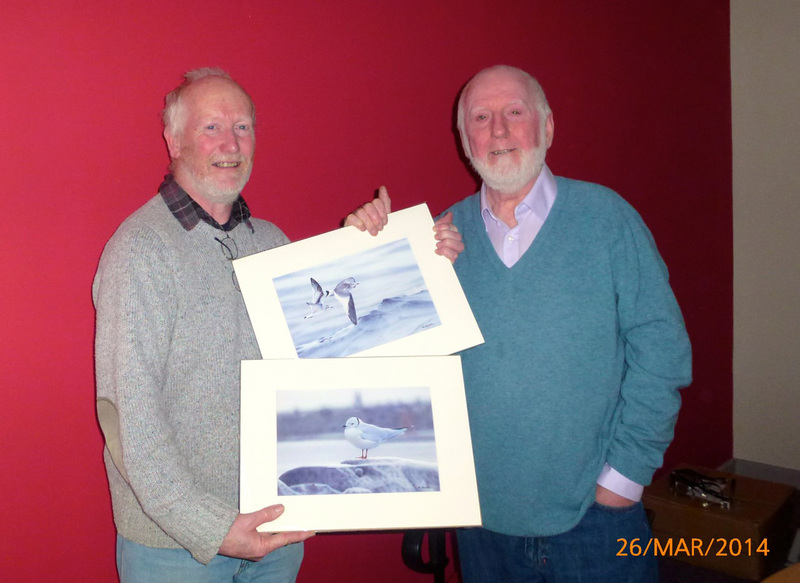 The NIOC organised the very first Work of Northern Ireland Bird Photographers in 1973. This is a public event that provides anyone living in Northern Ireland who photographs wild birds, with an opportunity to bring their images to a larger audience - that is the essence of the event. The event has seen many changes since its inception in 1972, reflecting changes in the wider photographic scene. Digital images were accepted for the first time in 2005 alongside 35mm transparencies and by 2009 digital became the only accepted format. A category for ‘digiscoped’ images was added in 2007 i.e. images taken through a telescope using a digital camera. So that no one is excluded, there are five categories of entry to cater for various skill levels and methods - Junior, Beginner, Intermediate, Advanced and Digiscoping. Each photographer enters up to three digital images in their chosen category (six in Advanced). Each year someone who is prominent in the field of wildlife photography judges the entry. Trophies and certificates are awarded for the best image in each of the four categories and for the best complete portfolios in the Beginners, Intermediate and Advanced categories. The importance of this unique event was recognized in 2011 when The Ulster Museum staged an exhibition featuring 20 of the best images from the previous six years of the show. Focus on Birds ran from 21st January to 27th March 2011 in the Belfast Room. Tom Ennis retires as chairman of the photographic sub committee in March 2014, after over 40 years at the helm. Pictured above being presented with two prints by Garry Wilkinson Chairman NIOC. The prints by Ian Lewington are of Ross's Gull, Sabines's Gull and Little Gull. All photographs in this website are copyright of the photographers and may not be used without their permission.